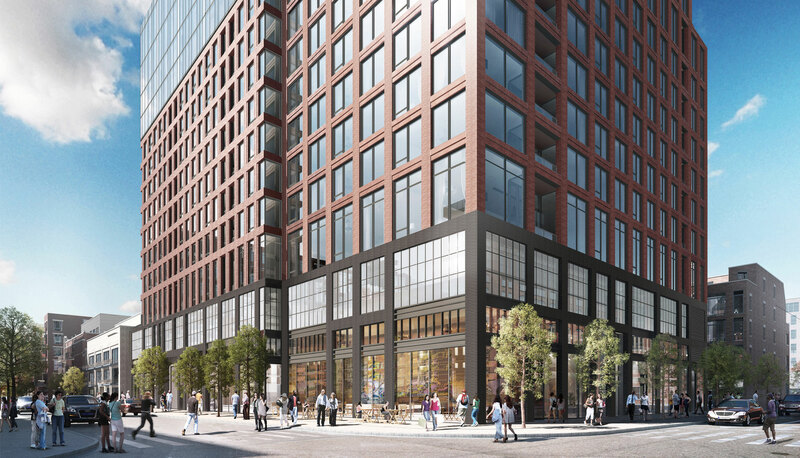 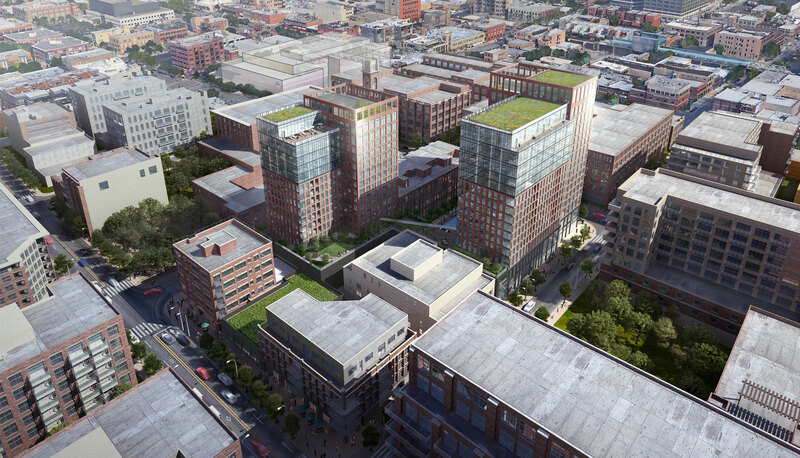 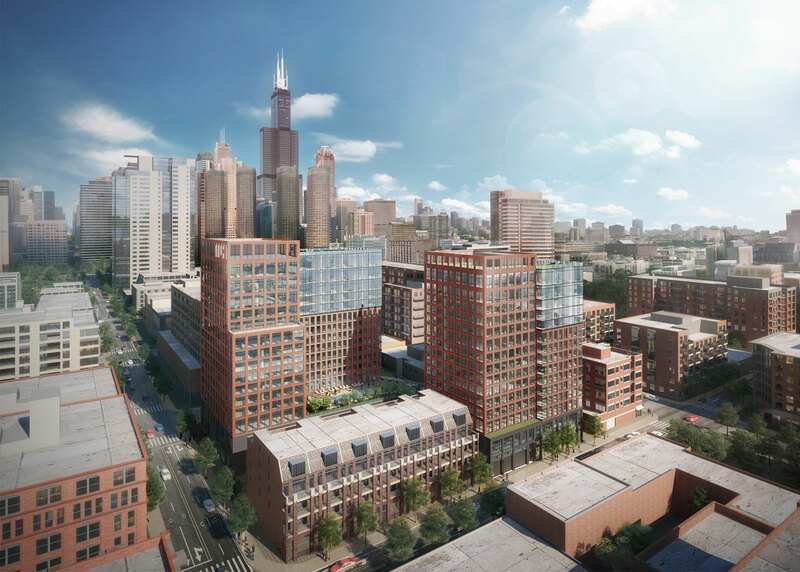 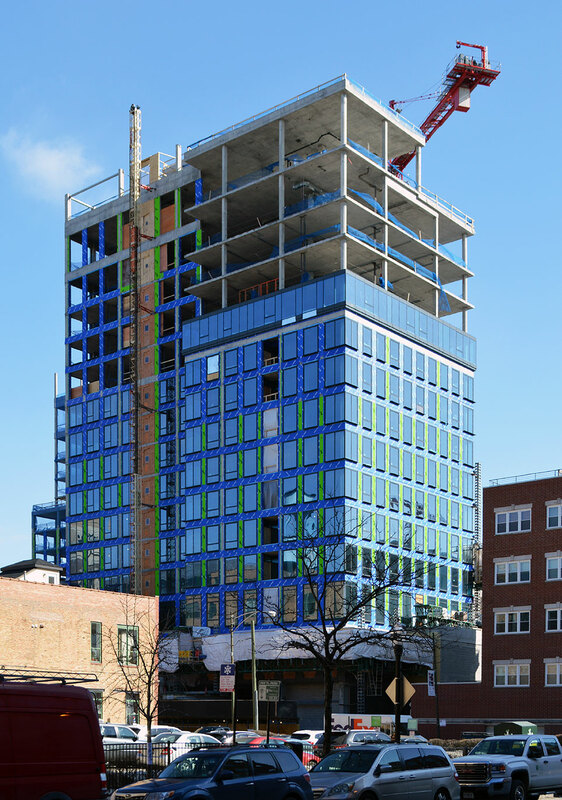 Located two blocks from the Morgan El station and one block from the bustling commercial district of Randolph Street, the Union West project sits at a prominent location in the West Loop. 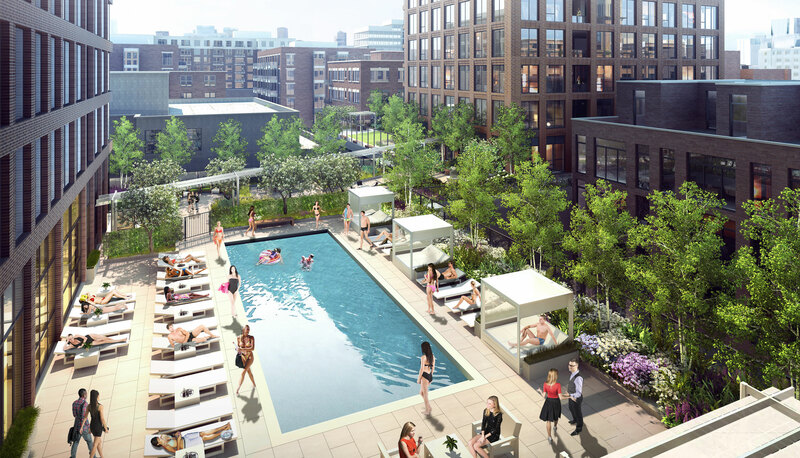 Comprised of two 15-story buildings, this mixed-use project is unified by a landscaped roof terrace atop a retail and parking podium. 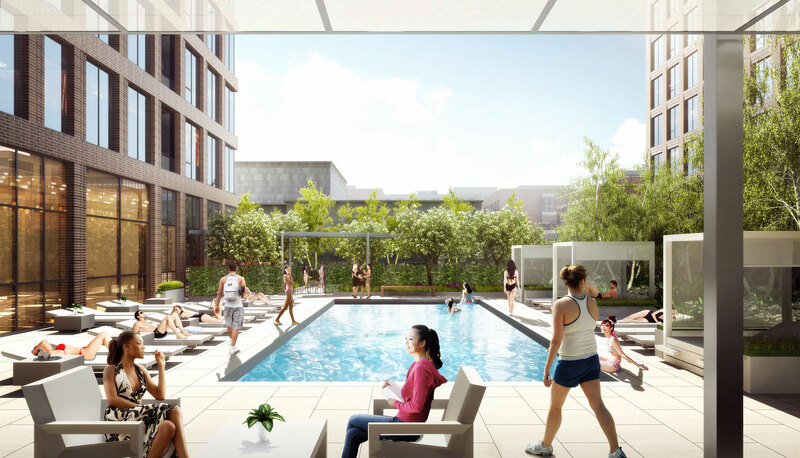 As a connective element between the towers, the terrace provides a communal space for residents. 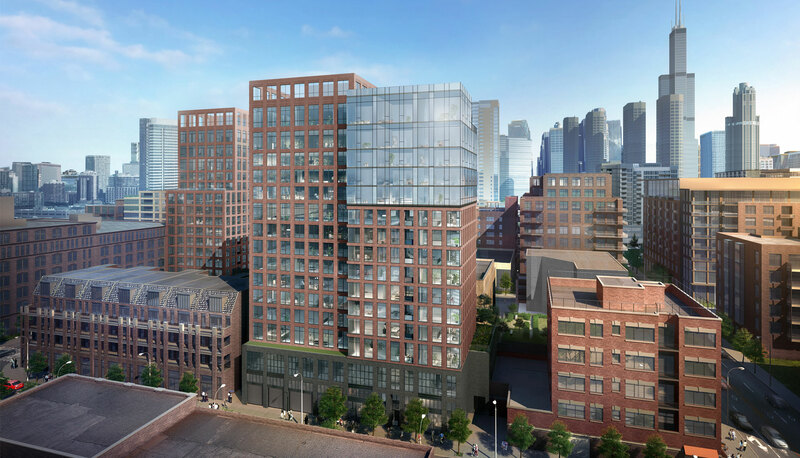 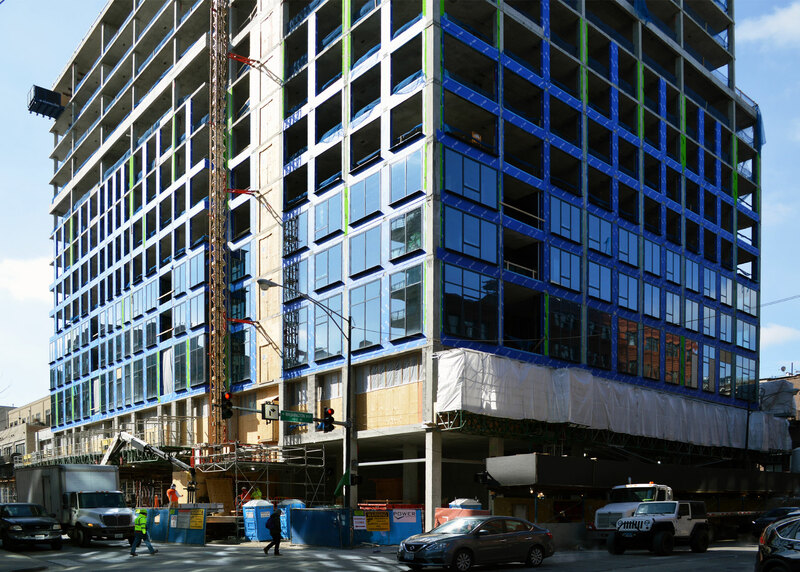 The massing of Union West is responsive to the immediate context; the brick base and masonry frame mid-section relates to the West Loop’s industrial feel, while the top glass portion provides a light and airy impression, offering expansive views to the city. 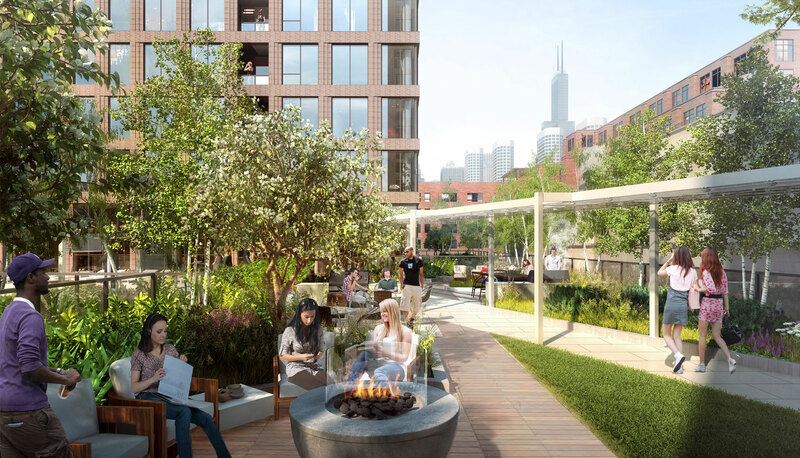 The tower’s top roof terraces look toward the city, allowing a direct communication of the project to Chicago’s downtown Loop.